Cheddar cheese and soft, buttery leeks are a marriage made in heaven. The combination in these little tarts tastes like a revved up version of the cheese and onion pasties from school canteen days. They’ve got comforting and homely all wrapped up, but with some added grown-up sophistication. When I make a cheese tart, I want it to taste cheesy. I’m not interested in a flabby, savoury egg custard, I want proper depth of flavour, which is why I reached for the extra mature cheddar. Concentrated and tangy with a touch of sweetness, this cheese is just the ticket. And, because it’s extra mature, you need less of it to get the piquant savoury intensity that is characteristic of a decent cheddar. Although I was after a good flavour punch from the cheese, I also wanted to keep things simple. This recipe lets the flavours speak for themselves. 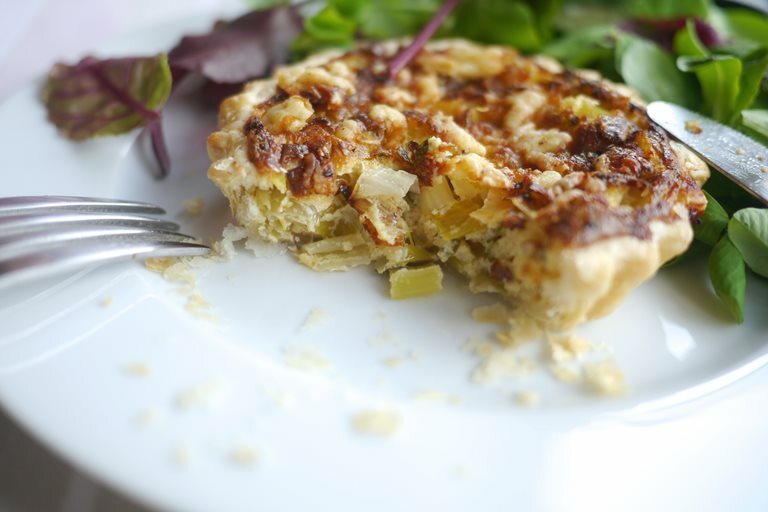 Aside from a scant scattering of flat leaf parsley, this tart is all about making the Cheddar and leeks the stars of the show. 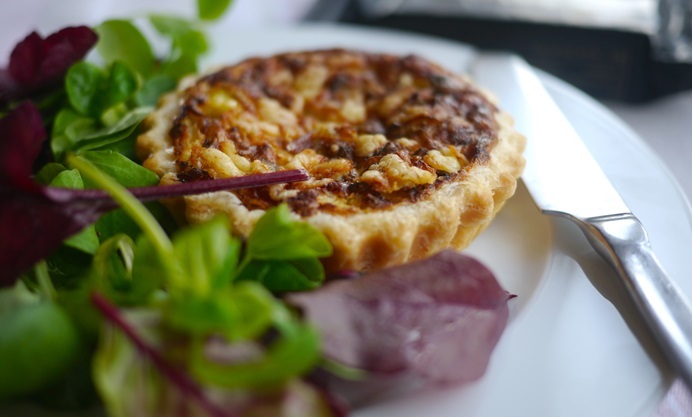 I used shop bought puff pastry for speed, but the pastry from my cheesy broad bean and bacon quiche would be a delicious alternative for gluten-dodgers, or for those who want an even more intense cheese flavour. Crisp, buttery pastry filled with rich and creamy leeks and boosted with the addition of extra mature cheddar: these tarts might not have the diet police in raptures, but that just means there’ll be more for you and I.